for many years traveling the world taking photographs for newspapers. Click here to read more. 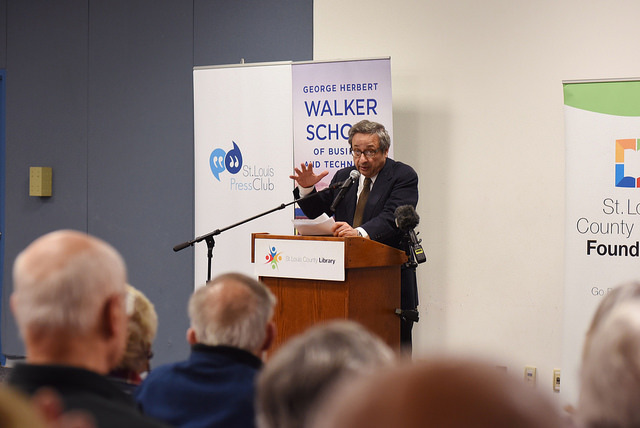 than two decades transforming public television from "classroom in a box" into a digital resource that engages the entire community. Click here to read more. 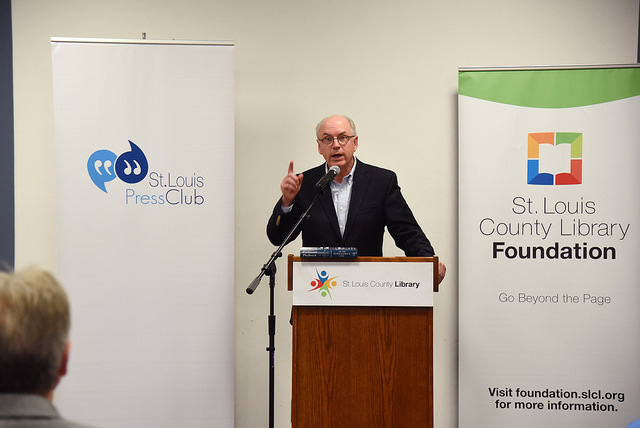 For 60 years, the St. Louis Press Club has worked to provide media scholarships to deserving college students. 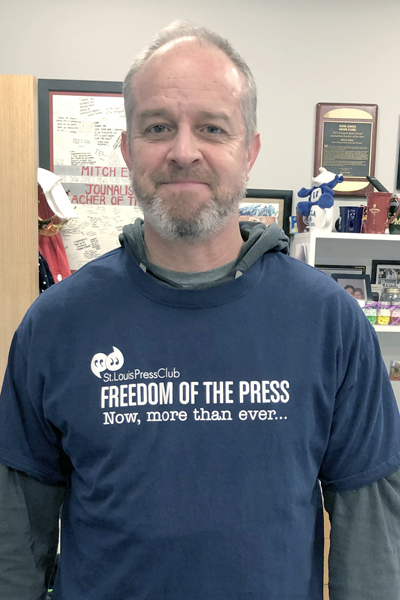 Help us sustain the next generation of journalists by getting your own St. Louis Press Club Freedom of the Press T-Shirt! Follow us on Facebook and Twitter, and Show Us Your Shirt! View and share our calendar of events here. MAC-Downtown. Optional lunch buffet. Click here to pay for lunch by credit card. 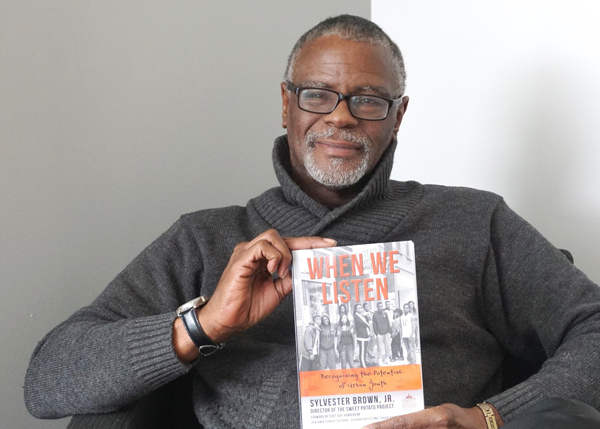 Our forum speaker, Sylvester Brown Jr. – author, community activist and former St. Louis Post-Dispatch reporter, will talk about "When Journalists Listen: The Story of a Word Warrior." 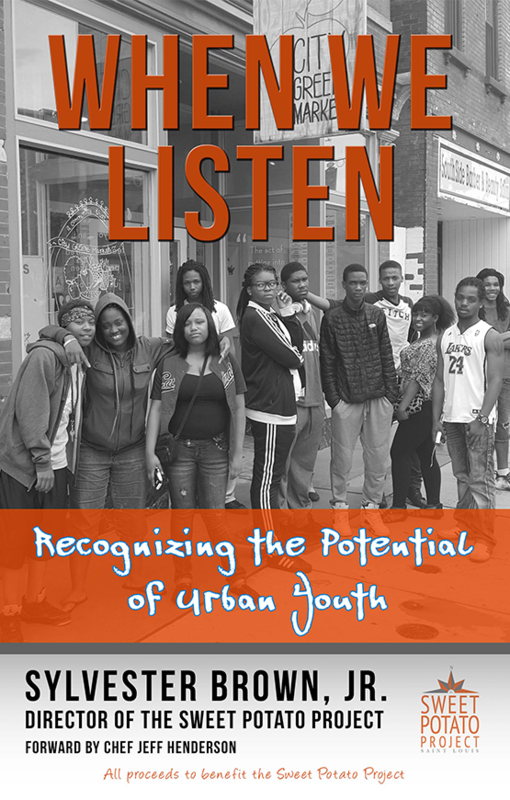 Thursday, April 25 at 7 p.m. 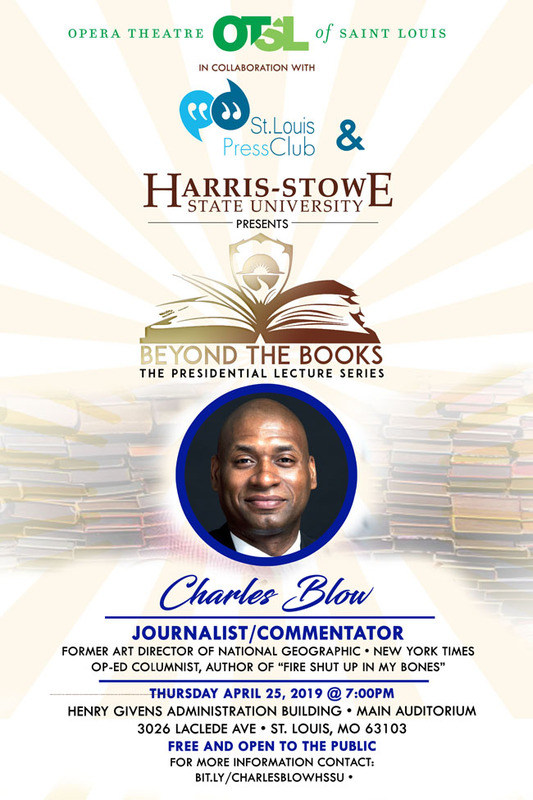 Private pre-program reception from 6 p.m. to 6:45 p.m. for Opera Theater and Press Club members with hors d'oeuvres and beverages in room adjacent to auditorium. Parking is available in the main lots on the SW side of Compton/Laclede (I.e. across Compton from the Chaifetz Arena). 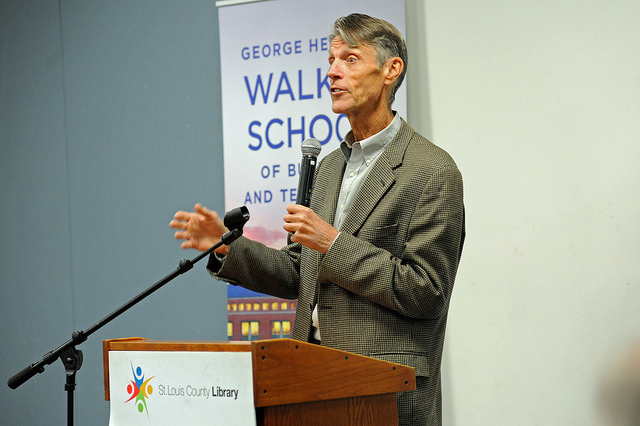 Guests should follow signage towards the Harris-Stowe Bookstore as this is in the same building as the auditorium. Complimentary dessert reception will follow panel. 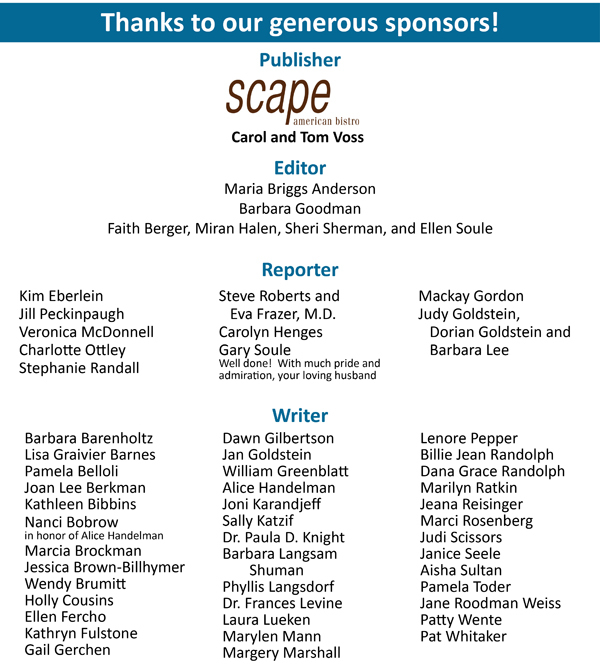 Kick-off Cocktail Reception to introduce Media Persons of the Year will be Thursday, May 23rd 5:30 - 7:30 p.m. at Saks Fifth Avenue in Plaza Frontenac. 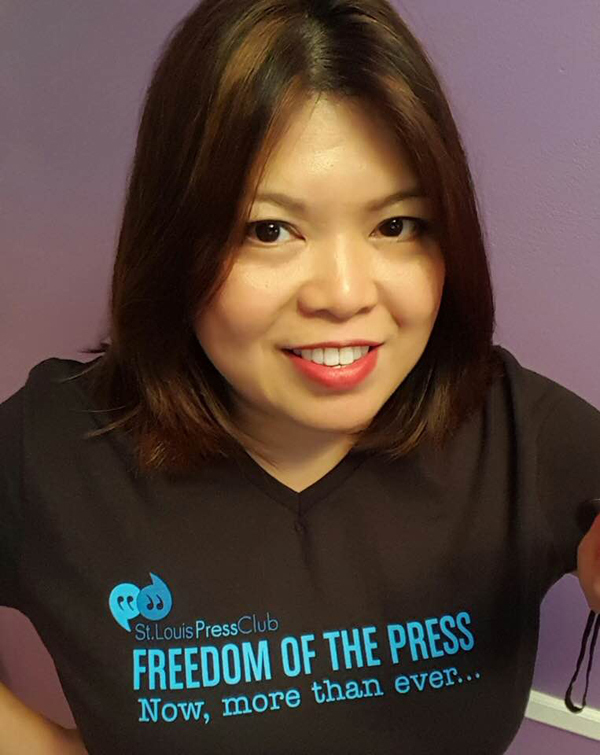 Monday, May 13, noon: Press Club Board Meeting at 8888 Ladue Road, Room 250. Do you want publicity for an upcoming media event? If so, Click Here. 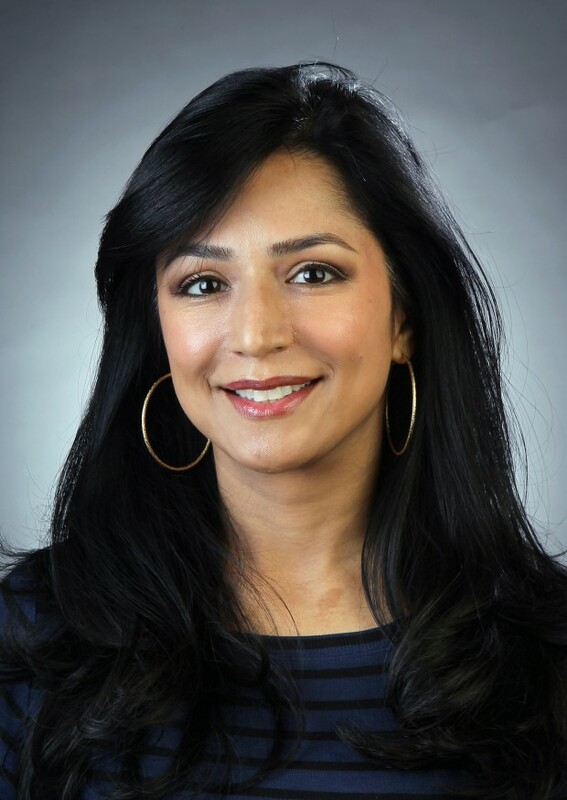 St. Louis Post-Dispatch columnist and Press Club member Aisha Sultan will screen her film, “Other People,” and moderate a discussion between audience members and a panel of the region’s brightest thought-leaders at 7:00 p.m. Thursday, April 18 at the Missouri History Museum auditorium. This 10 minute film chronicles an awkward situation that begins when a millennial mom takes her daughter on a play date. 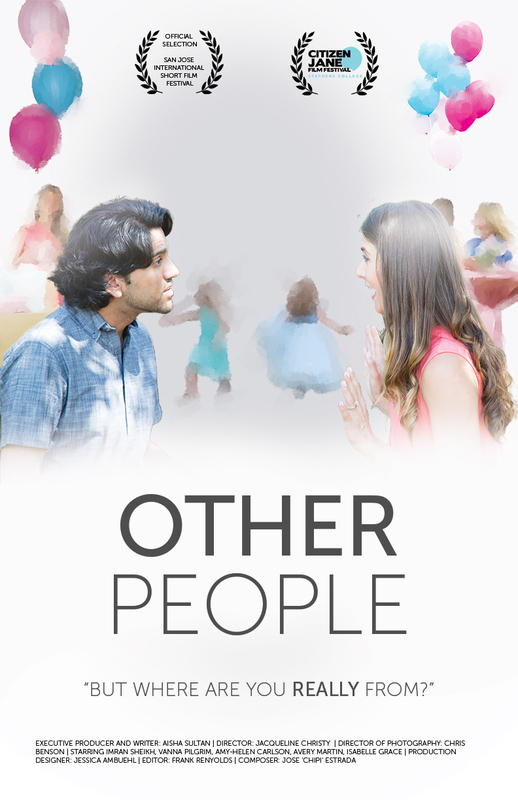 It takes a nuanced look at the assumptions we make about those we consider "other." 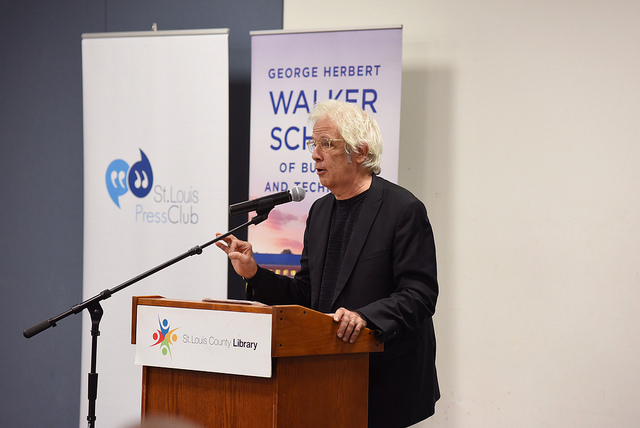 The film was sponsored by the St. Louis Press Club and made possible through generous donations. All Press Club members and their guests are encouraged to attend. It will be free and open to the public. A reception will follow after the program. No reservations required. 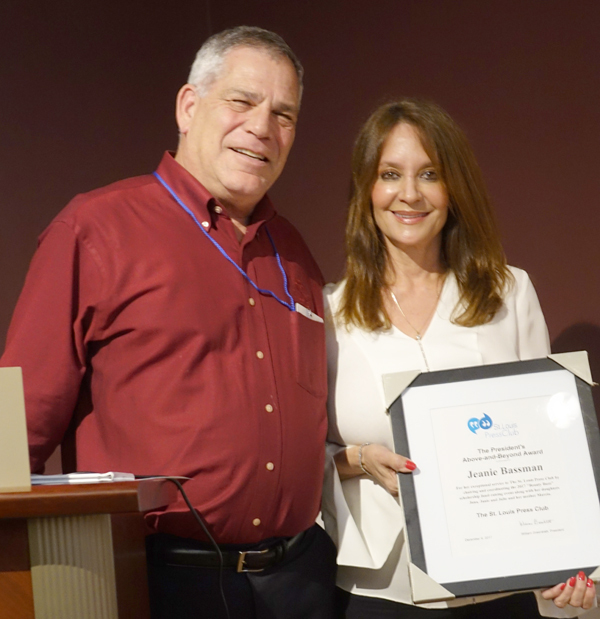 Click here to learn about our collaboration with the library's author series. 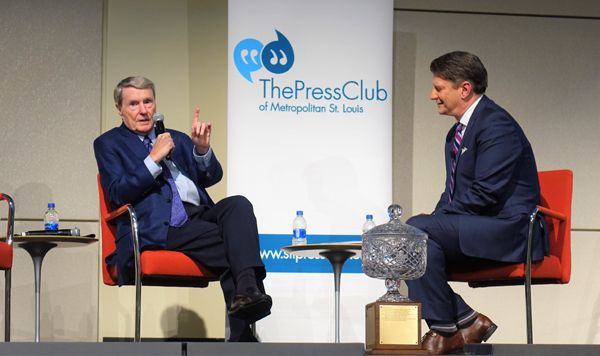 or mail a check to St. Louis Press Club, PO Box 410522, St. Louis, MO 63141. Reservations: Due to limited space, reservations are required for all attendees. 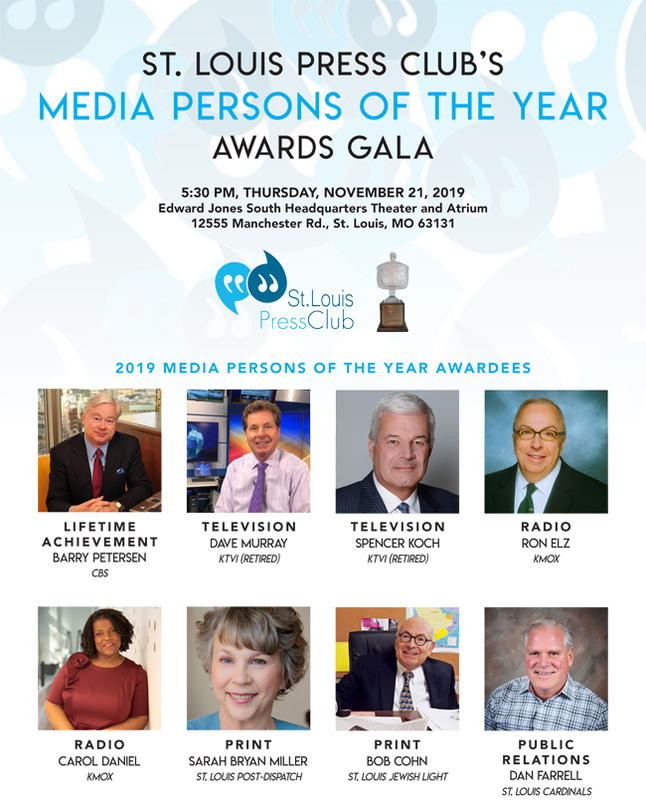 By email to info@stlpressclub.org or phone to 314-449-8029. "Madame Fourcade's Secret War: The Daring Young Woman Who Led France's Largest Spy Network Against Hitler"
Press Club members, media representatives and guests heard the plans and opinions of our city’s presidential candidates for Board of Aldermen at the club’s FRIDAY FORUM at the Missouri Athletic Club-Downtown on Feb. 22. 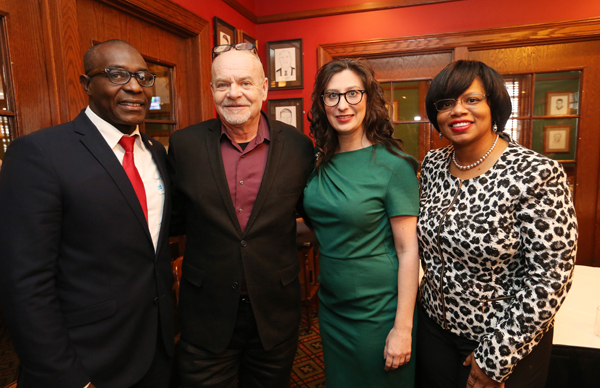 From left, Lewis Reed, moderator Charles Jaco, Megan Ellyia Green, and Jailah Nasheed. 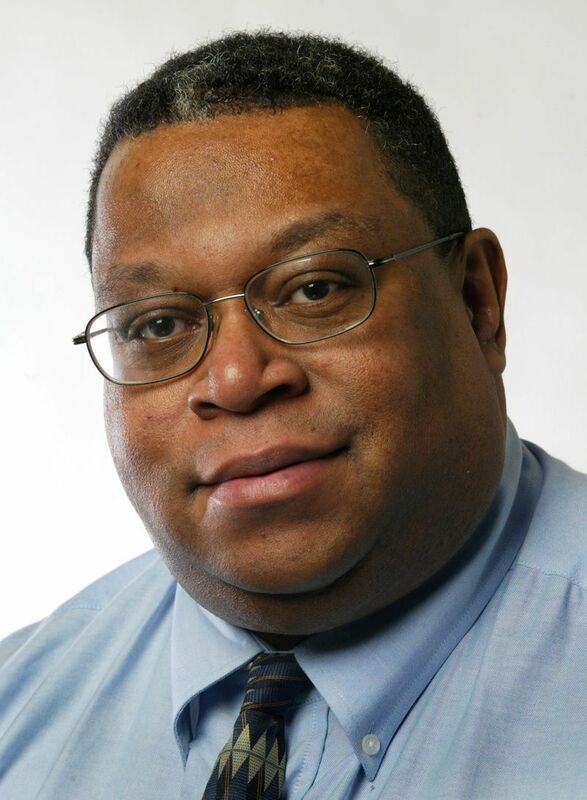 Click Here to see Doug Moore's front page article in the St. Louis Post-Dispatch. 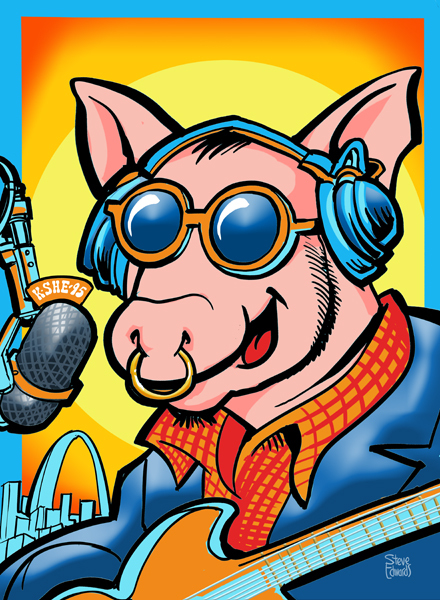 Click Here to see Jason Rosenbaum's coverage for St. Louis Public Radio. Thursday, January 17 at 11:30 a.m. 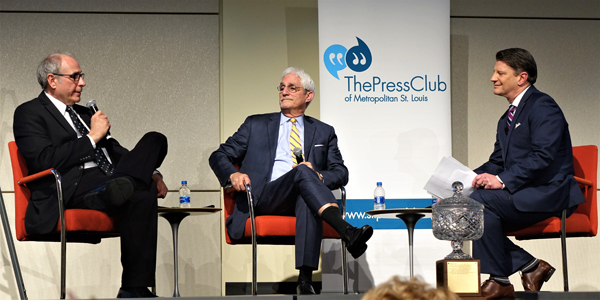 The first Press Club lunch forum of the year featured Mike Kelley and John Hancock, political experts whose programs on KMOX and Fox 2 inform and entertain our region with their opinions each week. 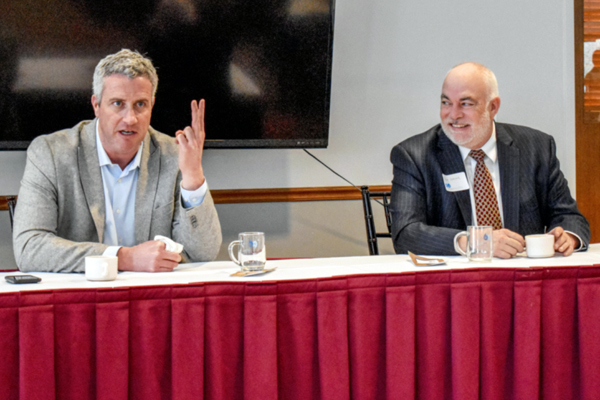 On January 17, the Press Club forum audience, which included journalism students as well as media professionals, enjoyed a lunch at The Highlands in Forest Park and a stimulating exchange of ideas with Kelley and Hancock. 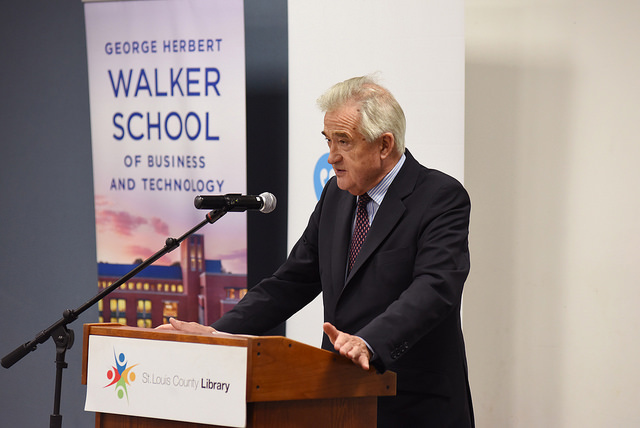 Click Here to view photos from the event. "The First Conspiracy: The Secret Plot to Kill George Washington"
"The War Before the War: Fugitive Slaves and the Struggle for America's Soul from the Revolution to the Civil War"
"The Battle of Arnhem: The Deadliest Airborne Operation of World War II"
"Heirs of the Founders: The Epic Rivalry of Henry Clay, John Calhoun and Daniel Webster, the Second Generation of American Giants"
"Ruth Bader Ginsburg: A Life"
"In the Hurricane's Eye: The Genius of George Washington and the Victory at Yorktown"
Over 70 members and guests attended the Nov. 28 annual dinner and meeting Nov. 28 held at the Norman Probstein Golf Club in Forest Park. 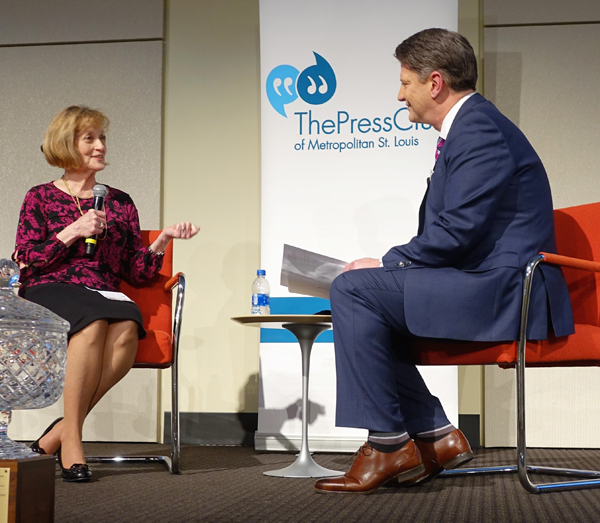 Mayor Lyda Krewson spoke about the state and future of the City of St. Louis. The club's coveted "Catfish Award" was presented to Ellen Soule and the"President's Above and Beyond" was awarded to Joan Lee Berkman, Sheri Sherman, Miran Halen, Phyllis Langsdorf and Faith Berger. 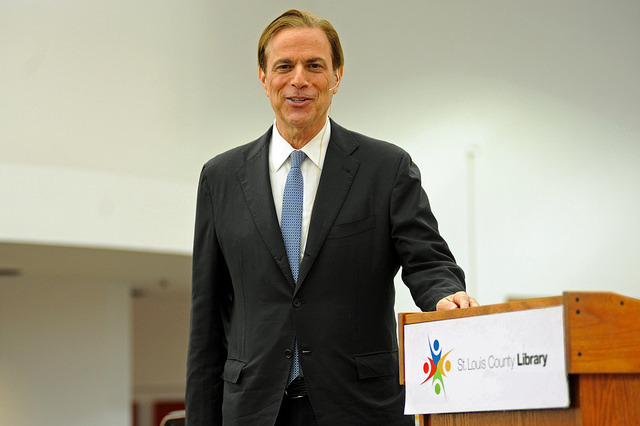 President William Greenblatt briefed the guests on the club's accomplishments in 2018 and plans for 2019. 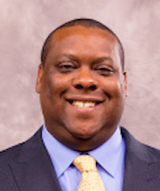 Board members for the 2019-2021 term were elected. 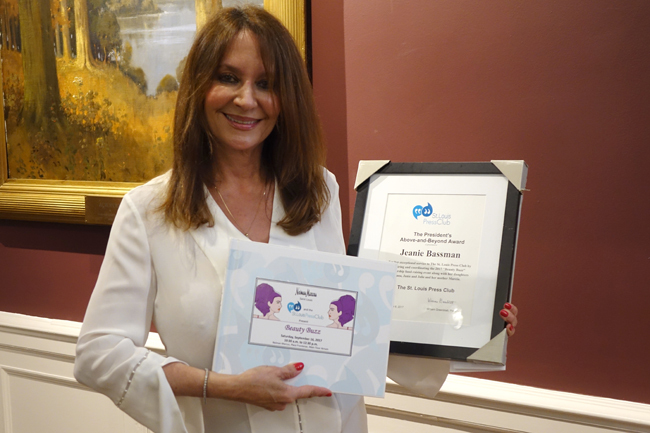 St. Louis Press Club award recipients were recognized for their Beauty Buzz journalism scholarship fundraising efforts. 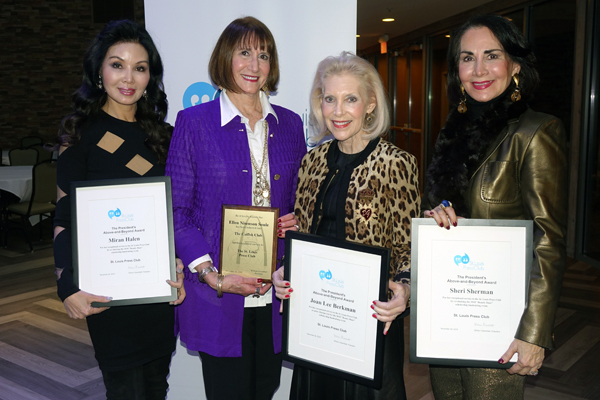 From left, Miran Halen, Ellen Soule, Joan Lee Berkman and Sheri Sherman. 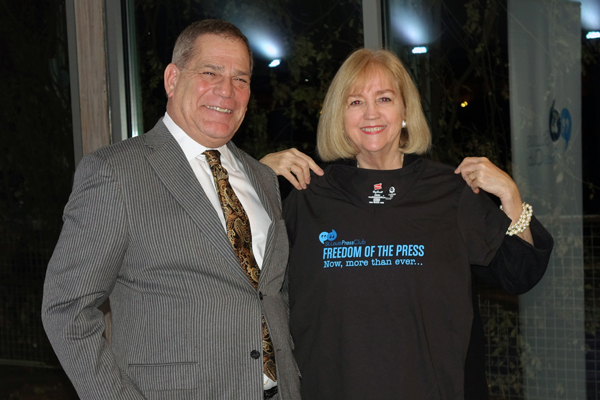 Not not pictured are awardees Phyllis Langsdorf and Faith Berger St. Louis City Mayor Lyda Krewson (right) accepting St. Louis Press Club's "Freedom of the Press . 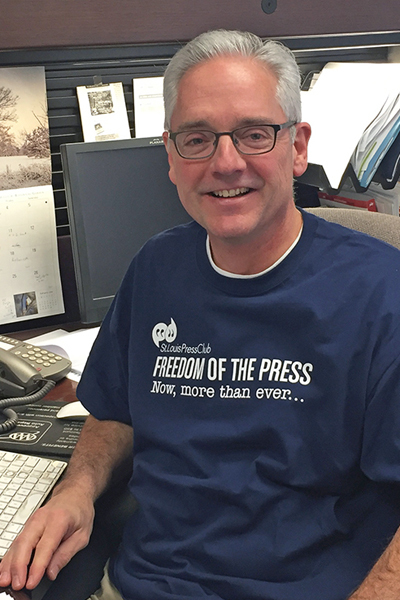 . . now more than ever" t-shirt from the club's president William Greenblatt . Click Here to see all the photographs from Nov. 28.
identify a legitimate news source today. 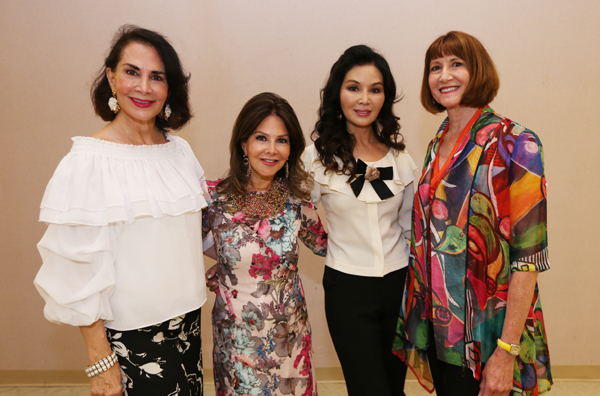 Saturday morning, September 15 St. Louis Press Club’s scholarship fundraising event: BEAUTY BUZZ at Neiman Marcus featuring Jasmine Huda as emcee. 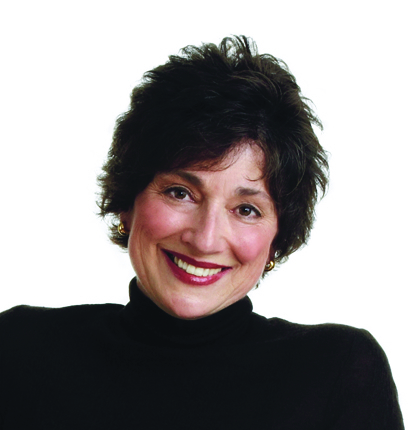 Joan Foster Dames, one of St. Louis' most beloved and influential journalists, has passed away. 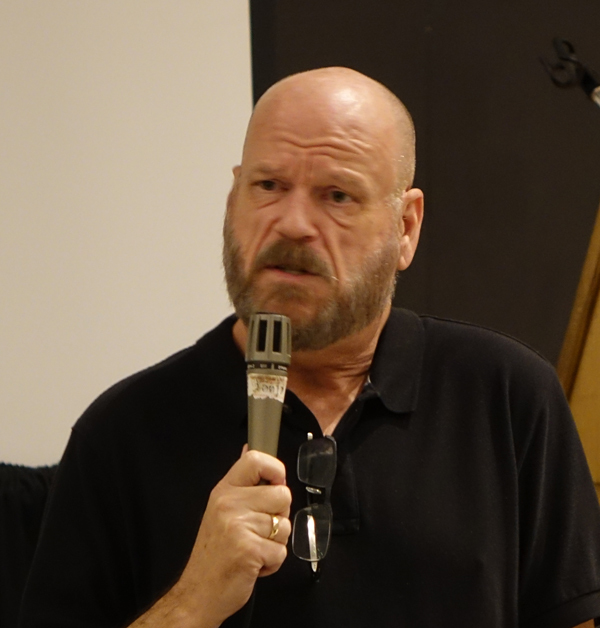 If you haven't read Joe Holleman's article, click here to read it. 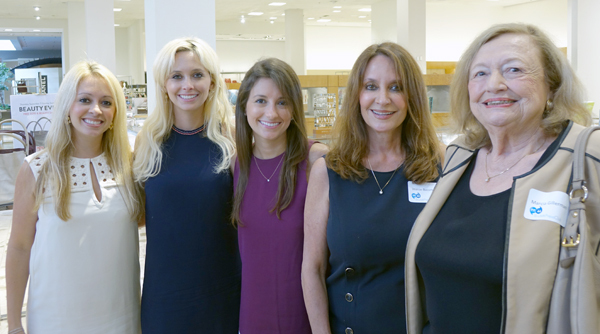 From left: our 2018 Beauty Buzz co-chairs Sheri Sherman, Faith Berger, Miran Halen, and Ellen Soule at the kick-off committee meeting at Neiman Marcus. Photo by William Greenblatt. Saturday, June 16: St. Louis Writers Guild invited Press Club members to be guests at the networking party and screening of documentary "For Ahkeem"
The St. Louis Press Club sponsored a screening of the documentary “For Ahkeem” and a Q and A with the film’s executive producer, St. Louis native Jeff Truesdell (pictured), Saturday night. 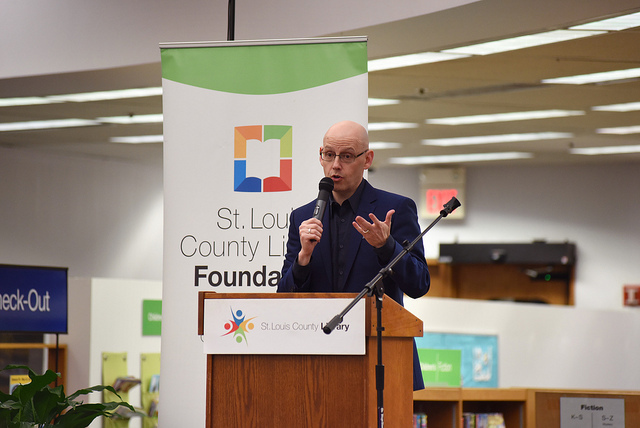 “For Ahkeem” was directed by Emmy award-winning Jeremy S. Levine and Landon Van Soest and explores the story of Daje “Boonie” Shelton, a Black 17-year-old in north St. Louis struggling for a better life for herself and her newborn son, Ahkeem. 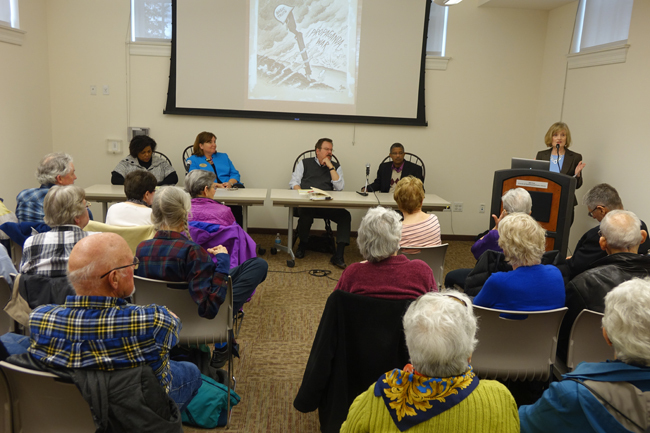 After the movie, Truesdell, the executive producer and a staff writer for People magazine, answered audience questions about the film. 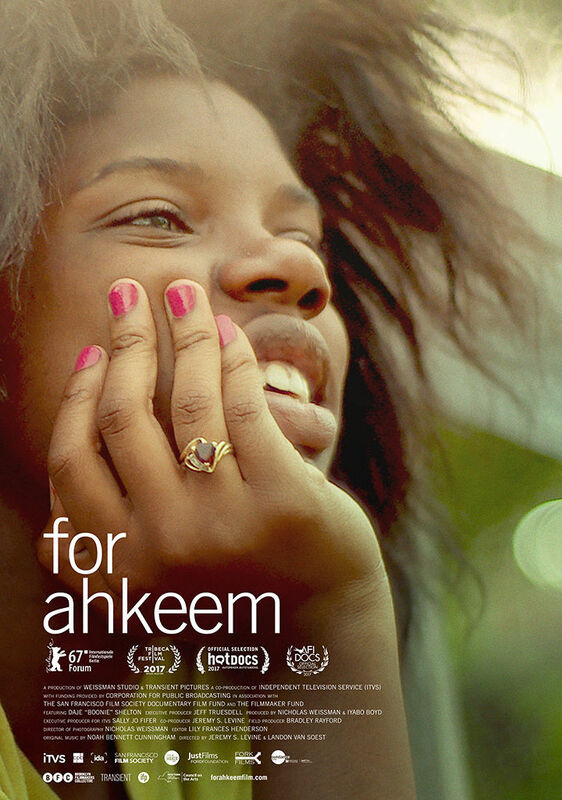 About the documentary: Film Reviewer, Nick Allen writes: “For Ahkeem” is the concise, heartfelt work of documentarians Jeremy S. Levine and Landon Van Soest, but tells its very intimate story as if it were the cinematic diary made by its center focus, a 17-year-old black American named Daje “Boonie” Shelton. 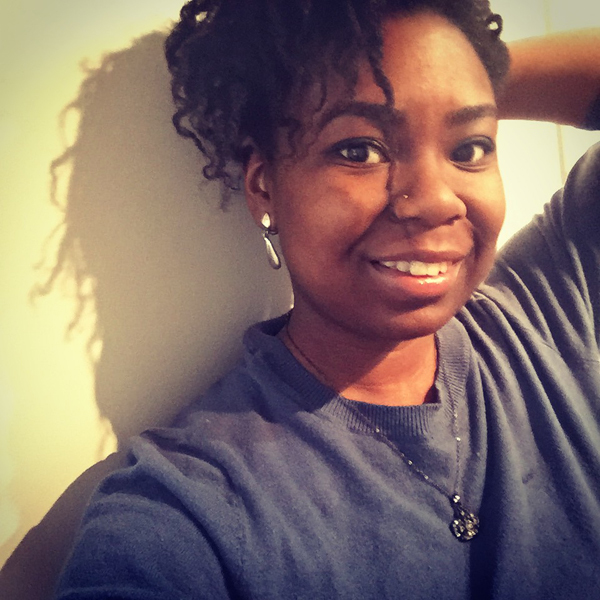 Created through endless footage and expert, unobtrusive on-the-fly photography, the documentary captures her experience as a young black American from a struggling St. Louis neighborhood, who has recently been assigned by a judge to a court-supervised high school for delinquent teens. About midway into the film, she and her boyfriend Antonio have a son named Ahkeem. 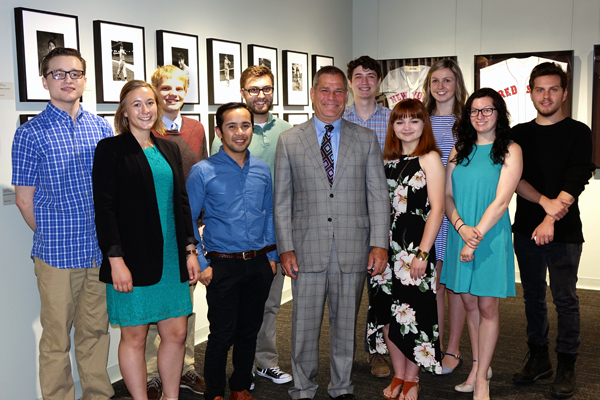 2018 Press Club and Journalism Foundation scholarship winners announced and honored. Featured speakers were television news reporters Katie Kormann and Alexis Zotos. Click Here for the complete list of Scholarship Winners. From left, backfront row; Matt Hampton, Peter Baugh, Dustin Steinhoff, Bennett Durando, McKenzie Magnus and Alex Zivic. From left, front row; Monica Ryan, Jeffrey Salas, Press Club President William Greenblatt, Arin Froidl and Rebecca Gangemella. Not pictured: Samuel Glass, Rea Bedalli, Sarah Heet, Danielle Pauly and Lily Hauptman. 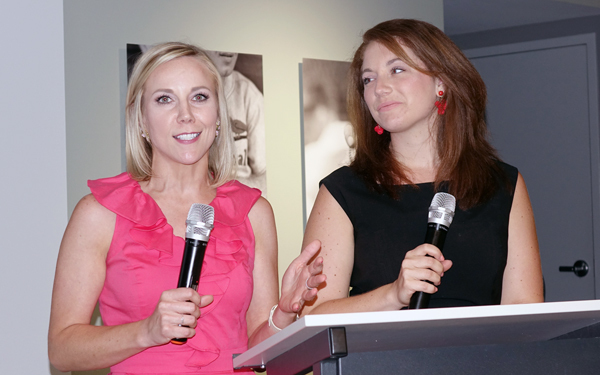 Featured speakers, television news reporters Katie Kormann from Fox2 and Alexis Zotos from KMOV channel 4, talking to and answering questions from our 2018 scholarship winners. 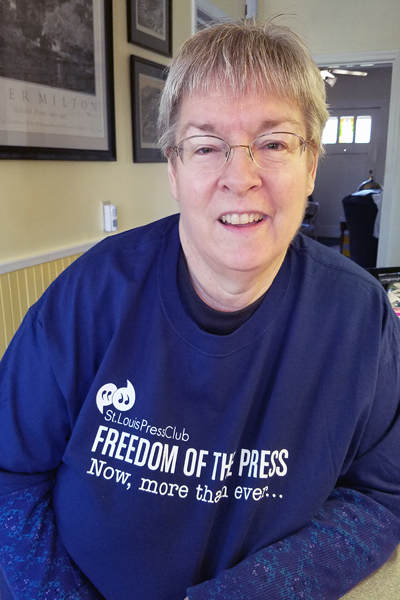 A big "thank you" to Colleen Schrappen who recently did a fundraiser for the Press Club's Ron Wade Scholarship and raised $1,326.50 by selling pins. due process for women in the workpace. 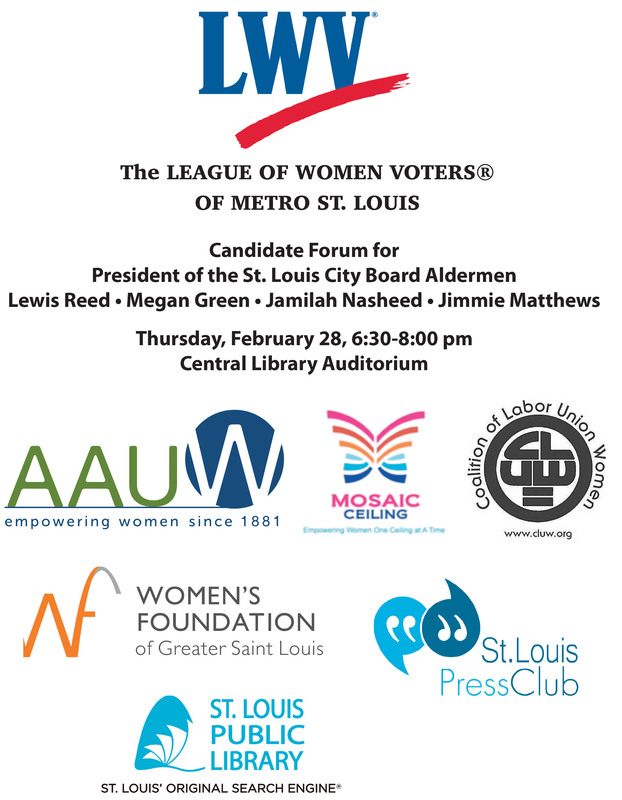 From left: Moderator Jo Mannies, a reporter at St. Louis Public Radio, who has been covering Missouri politics and government for almost four decades; Panelists Donna Harper an attorney with Sedey Harper Westhoff; Mildred Galvin Senior Vice President and Senior Partner at FleishmanHillard involved with Talent Development, and Leatha Johnson, EEOC Supervisory Investigator. How much: Lunch Buffet is $20 for Press Club members and $23 for all others. 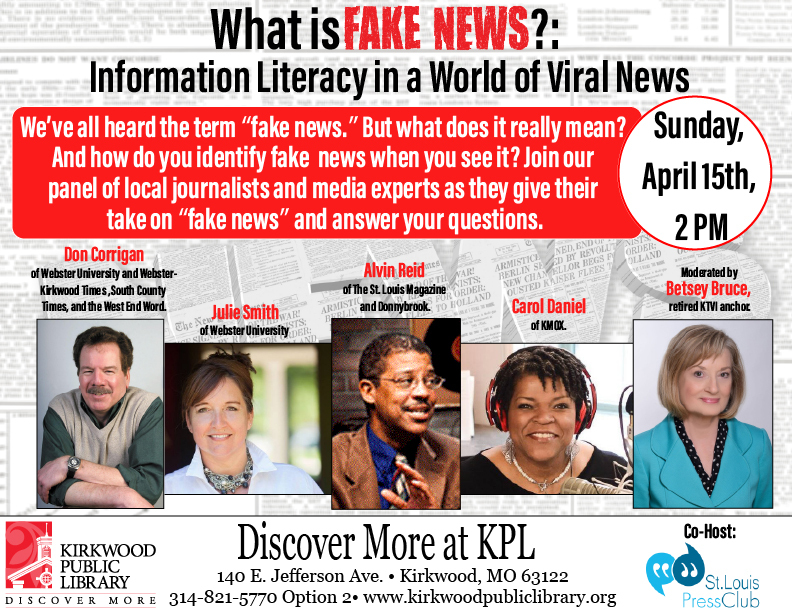 St. Louis Press Club and Kirkwood Public Library co-sponored a forum about "fake news" with 160 perons attending on April 15. Panel members from left, Carol Daniel of KMOX, Julie Smith of Webster University, Don Corrigan of the Times Newspapers, Alvin Reid of St. Louis American, St. Louis Magazine and Donnybrook, and Retired KTVI Reporter Betsey Bruce. 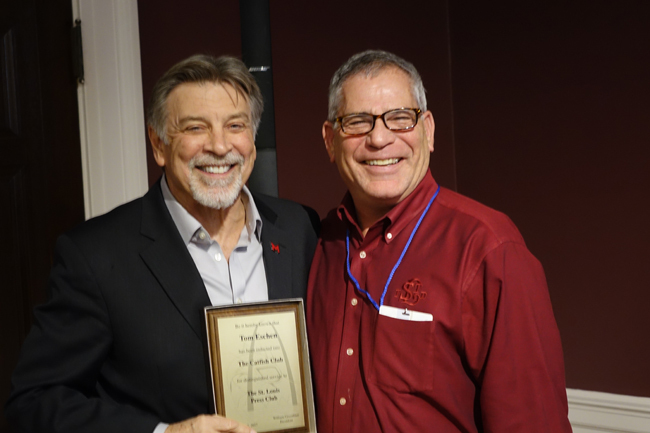 You are going to love reading Eric's article in the St. Louis Jewish Light about his on-stage black-out at the Press Club's gala in the midst of honoring him for his writing career. Click on this hyperlink: No Award Tonight! 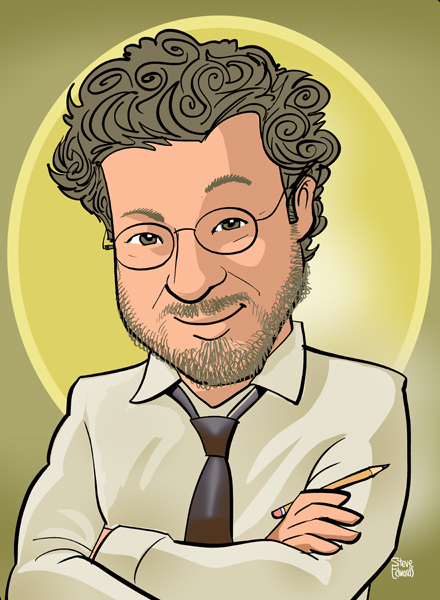 Steve Edwards created the caricatures of our 2018 honorees. 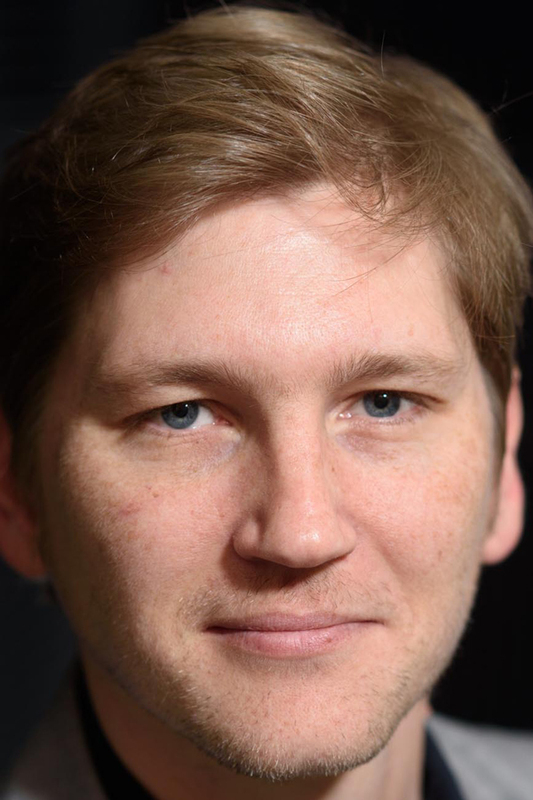 Eric Mink pictured. 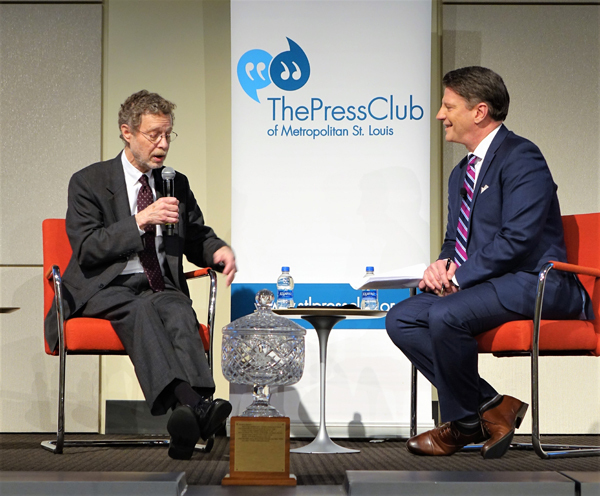 Master of Ceremonies, Mike Bush, interviews our 2018 Print Media Person of the Year Eric Mink, writer for the St. Louis Post Dispatch. 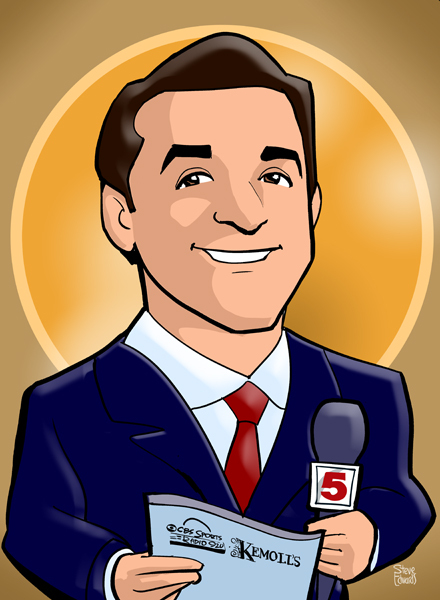 Steve Edwards created the caricatures of our 2018 honorees. 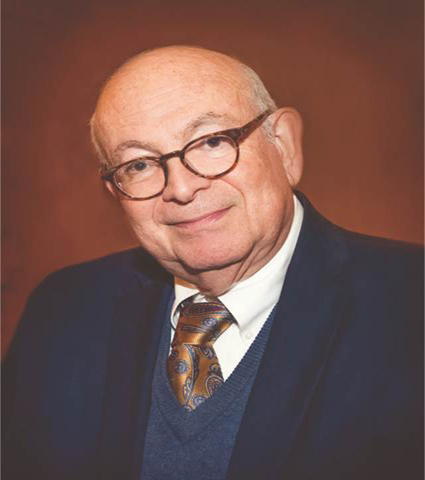 John Auble pictured. 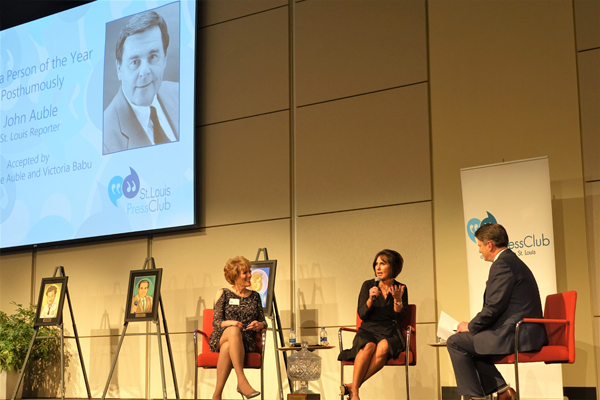 Master of Ceremonies, Mike Bush, interviews Charmaine Auble and Victoria Babu for our 2018 Posthumous Media Person of the Year John Auble, longtime St. Louis Reporter. 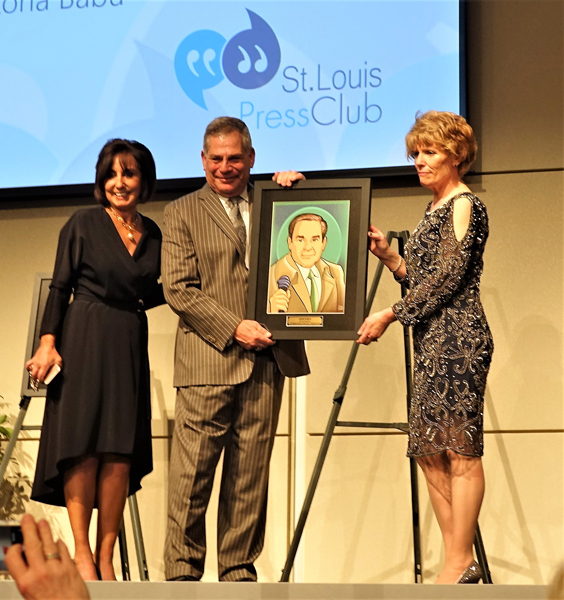 St. Louis Press Club President, William Greenblatt presents Charmaine Auble and Victoria Babu the award for our 2018 Posthumous Media Person of the Year John Auble, longtime St. Louis Reporter. 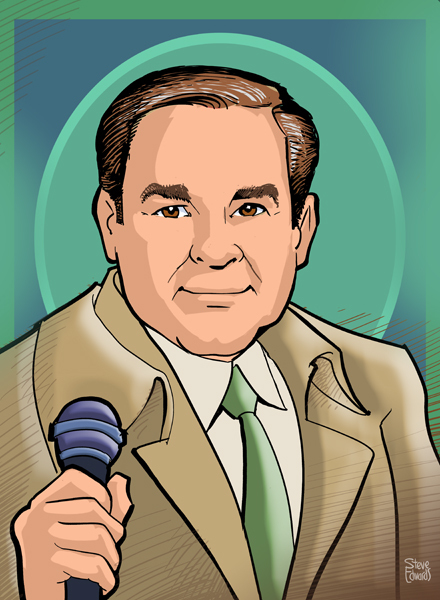 Steve Edwards created the caricatures of our 2018 honorees. 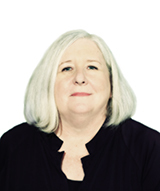 Betsey Bruce pictured. 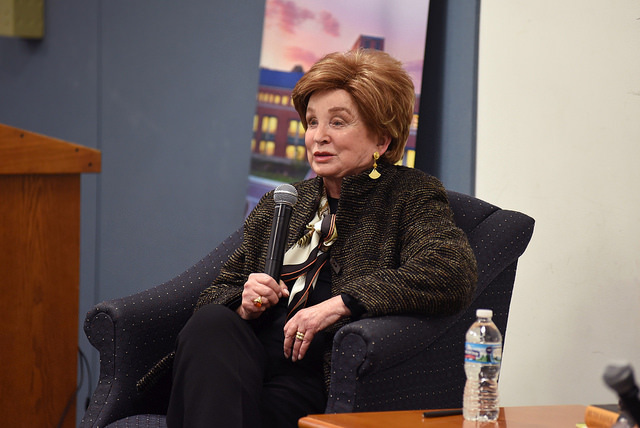 Master of Ceremonies, Mike Bush, interviews iconic Fox2 News reporter, Betsey Bruce for our 2018 Television Media Person of the Year. 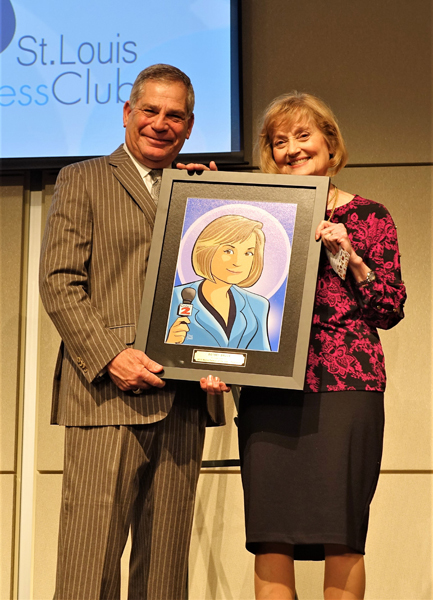 St. Louis Press Club President, William Greenblatt presents Betsey Bruce the portrait created by Steve Edwards for our 2018 Television Media Person of the Year award. 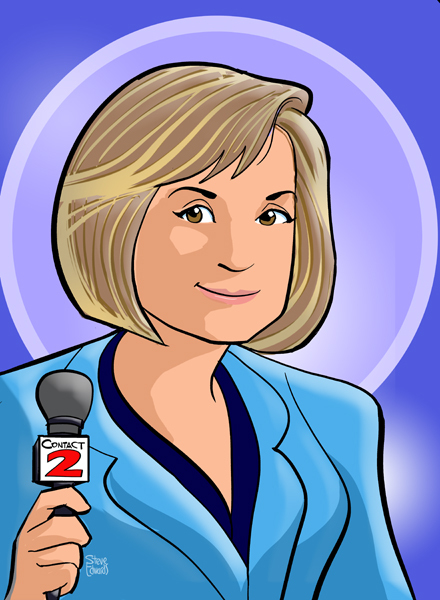 Steve Edwards created the caricatures of our 2018 honorees. KSHE-95 Real Rock Radio pictured. 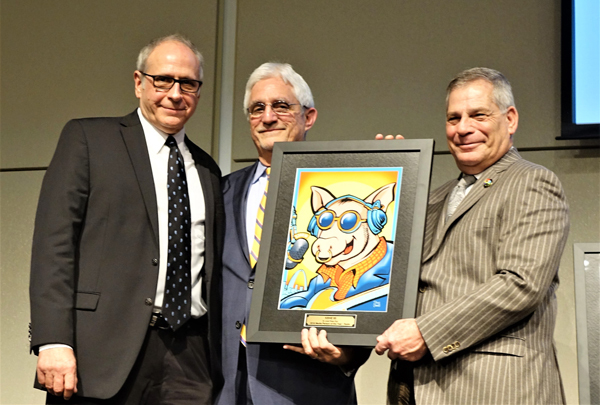 St. Louis Press Club President, William Greenblatt presents John Beck and Rick Balis the portrait created by Steve Edwards for our 2018 Radio Media Person of the Year KSHE-95. Steve Edwards created the caricatures of our 2018 honorees. Frank Cusumano pictured. 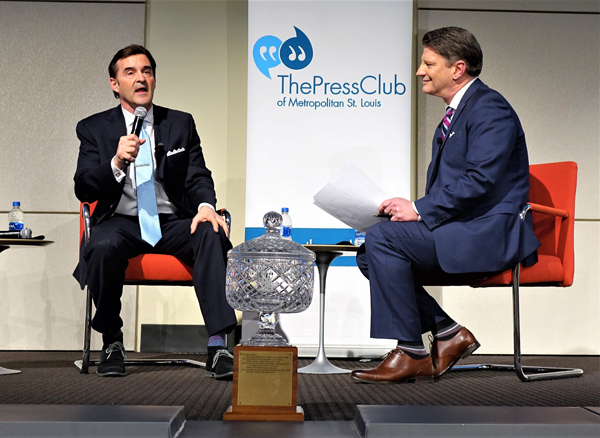 Master of Ceremonies, Mike Bush, interviews KSDK Sportscaster Frank Cusumano for our 2018 Television Media Person of the Year award. 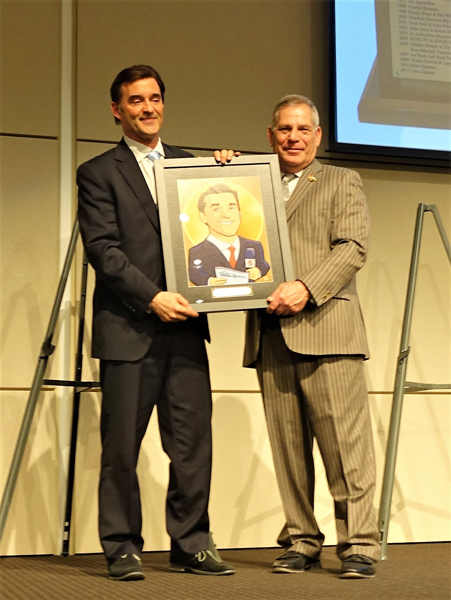 St. Louis Press Club President, William Greenblatt presents Frank Cusumano the portrait created by Steve Edwards for our 2018 Television Media Person of the Year award. Steve Edwards created the caricatures of our 2018 honorees. 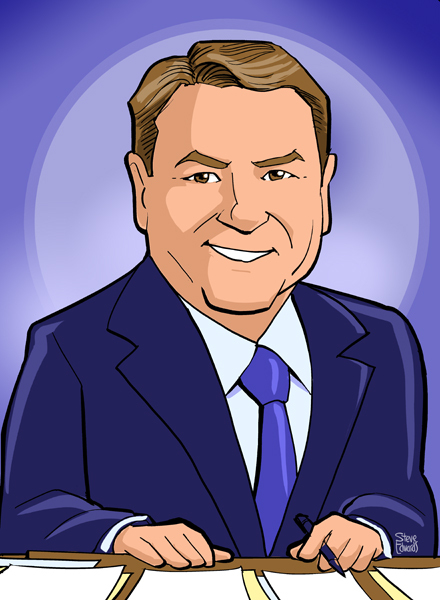 Jim Lehrer pictured. 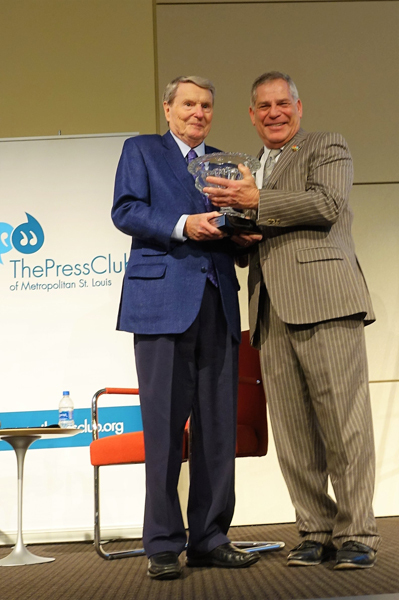 St. Louis Press Club President, William Greenblatt presents Jim Lehrer our 2018 Lifetime Achievement award. Our Media Sponsor, Gazelle Magazine's photo album. Town & Style's photo album. 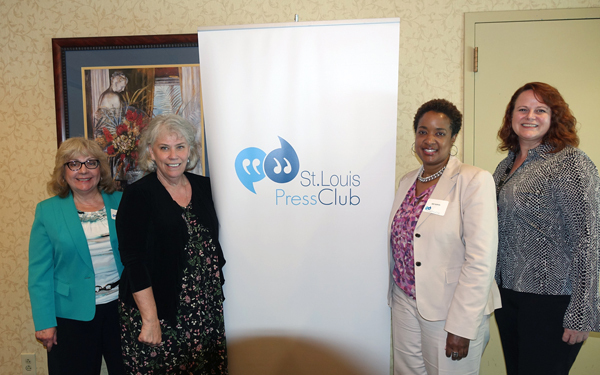 St. Louis Press Club's photo album. 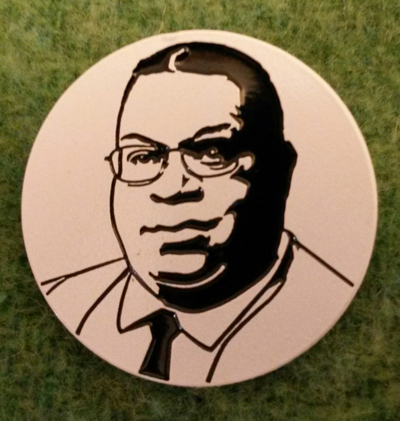 Click Here to make a donation to the Joe Bonwich Scholarship Fund. 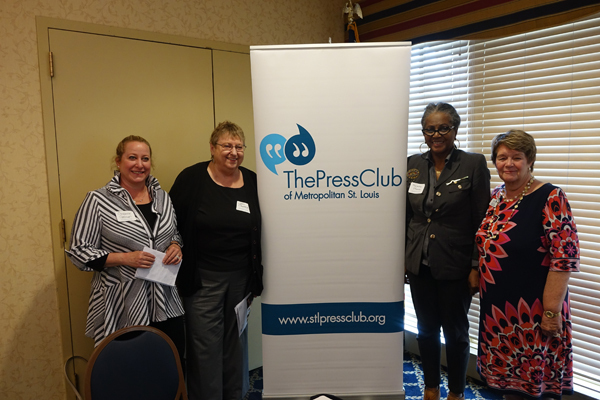 2018 Press Club scholarship application deadline is May 4, 2018 Click Here for the application.